We’re all familiar with that Monday morning caffeine craving… and most people tend to satisfy it by going straight for a strong builder’s tea or black coffee. 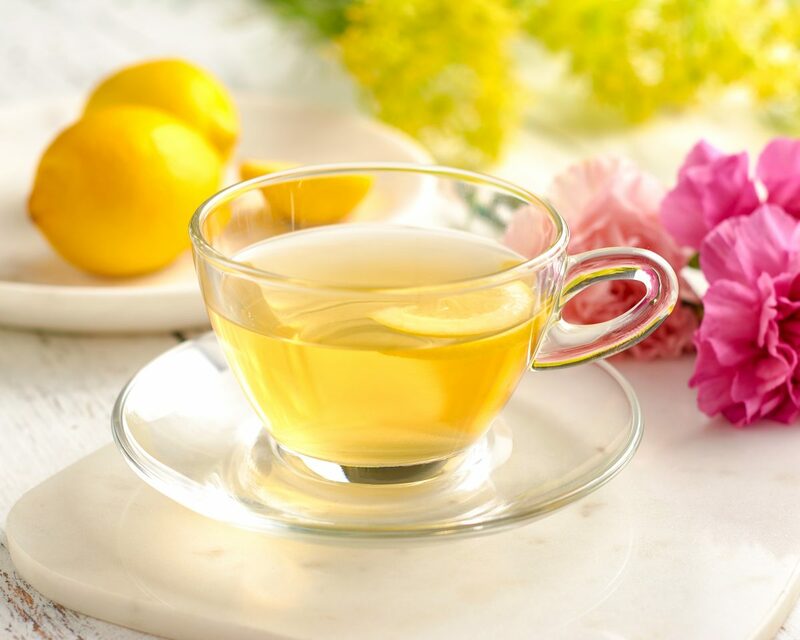 But when it comes to green tea, there has always been an air of mystery surrounding the caffeine content in a cup. So, does green tea contain caffeine? Well, the simple answer is… yes. But you’re not here for the simple answer, are you? 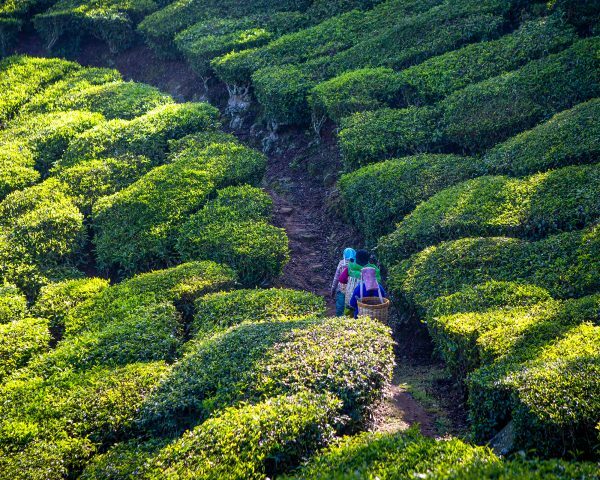 Green tea comes from the very same plant used to make black tea; a leafy bush called Camellia Sinensis. There’s a slight difference between the two teas though; the fermentation or oxidation process varies depending on whether black tea or green tea is being made. This process is much gentler when making green tea and the leaves are oxidised for a shorter time. What About the Caffeine Content of Green Tea? Due to the different ways the leaves are processed, you end up with different kinds of tea and different kinds of caffeine boosts. We’ve heard there’s also an amino acid present in green tea that offsets the ‘hyper’ effect of caffeine. Although there is caffeine in green tea, it contains less caffeine than black tea, and in turn black tea has a lot less caffeine than coffee. 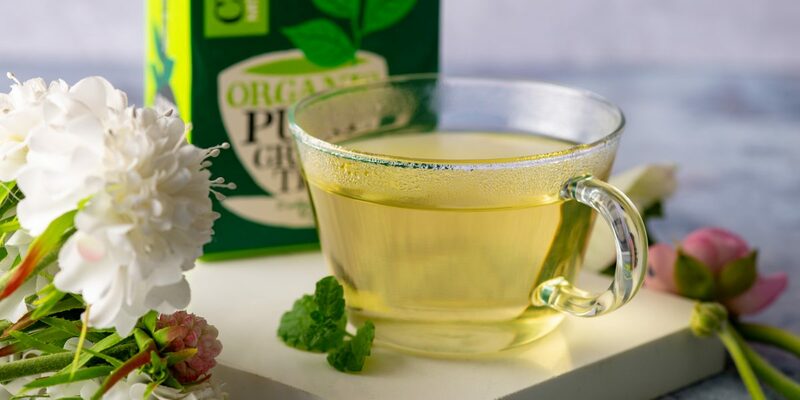 Whilst green tea gives you a small caffeine boost, it creates a gentler and steadier source of stimulation which apparently can aid concentration. This combination can also create a calming effect on your brain: ideal for when you want to relax and unwind. Well, we can’t answer that question for you but if you’re looking to reduce your caffeine intake (but not eliminate it completely) green tea is a good choice. 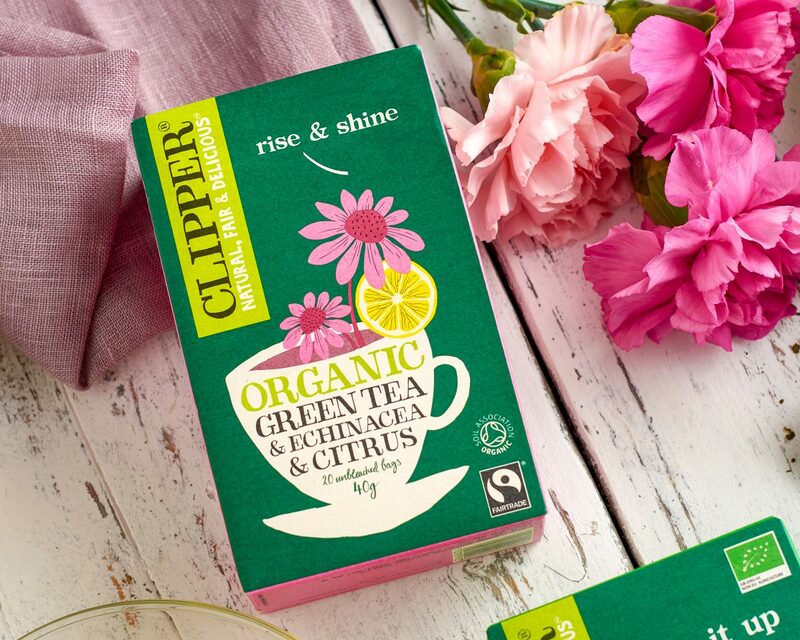 If you’re already a fan of a Clipper green brew then you’ll know we have plenty of green varieties to try, all bursting with flavour. 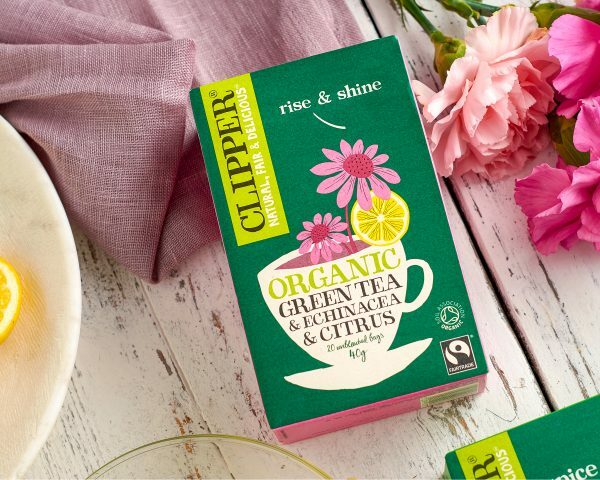 There’s pure green tea but we’ve also got a range of delicious blends for bonus flavour! Our green blends include Lemon, Pear & Honey, Lime & Ginger, Cranberry, and Peppermint. Which one would you like to try first? What if I Want to Cut Out Caffeine? If you were hoping that green tea was a caffeine-free option, we’re sorry to say it’s not. However, we’ve got lots of other tempting drinks starting with our decaffeinated teas. 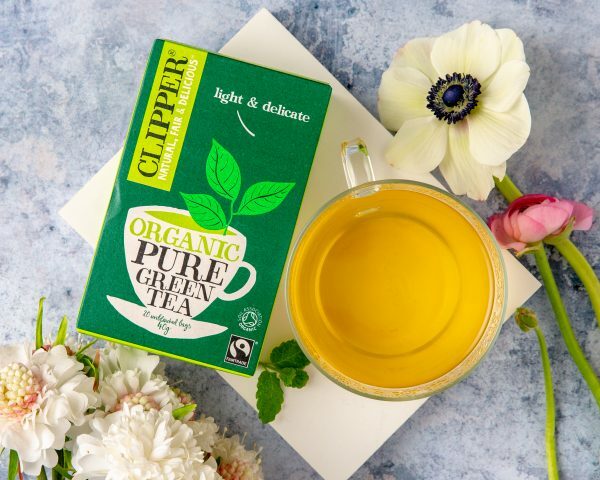 Our Decaf Green Tea and Jasmine Decaf Green Tea are both great options and bursting with our usual flavour, too! But why stop there? If you’re looking to eliminate caffeine altogether we also have a selection of tasty, naturally caffeine-free infusions for you to try. Our favourites include Apple & Elderflower, Strawberry & Rhubarb, and Cranberry & Raspberry. There’s plenty to keep you going. So, at the end of the day, green tea does contain caffeine, but not as much as some of the other hot drink options out there.